A lot of people might find it difficult to find the materials when you want to create your work on STYLY. It’s common to prepare the materials for the creation such as 3D models, images, by yourself or buying them. However, on the internet, there are also the materials you can use for free. So I will show you how to find the materials you can use for free and make good use of them when you create your work on STYLY. An example work created from materials for free. Roughly speaking, there are three types of materials downloadable on the internet, Free material, public domain and Creative Commons. Please be aware of the difference between them as many people mix up or misunderstand them. By the way, the limitation for commercial use varies depending on the type of material. However, you don’t need to worry about it when you only create and publish your work on STYLY as it’s not considered as commercial use. Free material is a material that can be used for free under the rules prescribed. For example, popular ‘Irasutoya’ is Free material. When you use Free material, you need to aware that it’s not completely free for any use but you need to follow the rule prescribed. Depending on how it’s used, you need to pay for commercial use or you are not allowed to modify it. In addition, be careful as some Free material requires describing the credit. On the other hand, Public domain is a material with the copyright that expired by meeting some conditions, for example, a certain period passed after the death of the creator. 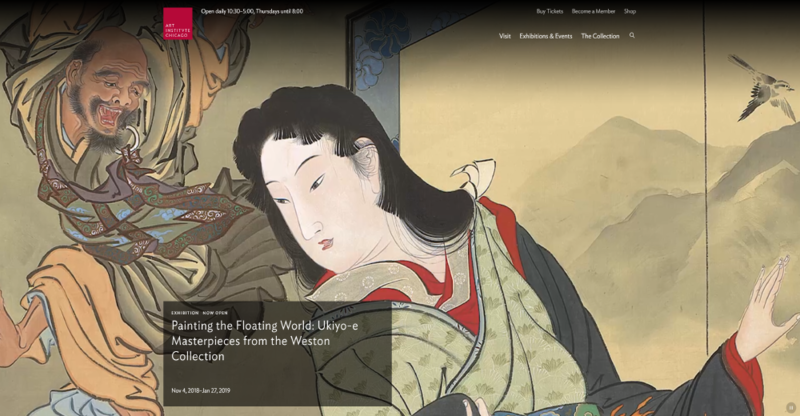 Old painting and Ukiyo-e Painting belong to public-domain material for instances. Unlike Free material, you don’t need to pay the fee or describe the credit at all because its copyright has been expired. However, even if the copyright has expired, you still could infringe on the right by modifying the work (clipping, altering colours, adding words and etc.) in the case the moral right has not expired. Be careful. In addition, without permission, you cannot use the painting you picked up by image search on the internet because the person who took the photo also has a copyright as the photographer. I recommend using the distribution sites for Public-domain materials. Creative Commons is an international project to define the license for creators to express their copyright easily when they publish their own work for other’s use. There are several types of Creative Commons licenses, and the rule differs depending on which type you use. In particular, the type, ‘CC0’, allows anyone to use it for free without any conditions because the creator gave up the copyright. If you use the ‘CC0’ materials, you don’t need to pay the fee or describe the credit at all. Unlike Public-domain materials, the ‘CC0’ license gives up the moral right too. So it’s also allowed to modify the work. I summarised the features of Free material, Publick domain and Creative Commons in the table below. In the next section, I will show how to find Free materials on the internet by introducing the useful sites for the beginners. Free Material Material to use for free under the rule prescribed by the creator basically free but there is the case you need to pay under the rules prescribed by the creator. You need to check the rule as it’s different for each material. You need to check the rule as it’s different for each material. You need to follow the rule prescribed by the creator. Public domain Material with the copyright that expired. Absolutely free No need There is a possibility to infringe on the right. Public domain doesn’t mean you can use the photo of the paintings you found on the internet without permission. Creative Commons International license to describe copyright Absolutely free mandatory except CC0 It depends on the type of the license. It depends on the type of the license. I recommend using distribution sites or sales sites to find 3D materials on the internet. There are several file formats for 3D model, but the two types , ‘.fbx’ and ‘.obj’ , are convenient to upload by STYLY directly or import into Unity. Other file types would be painful to use, for example, by requiring the file conversion. So I recommend searching only for 3D model with ‘.fbx’ or ‘.obj’ file if you are not sure of other types. Next, I recommend several sites. 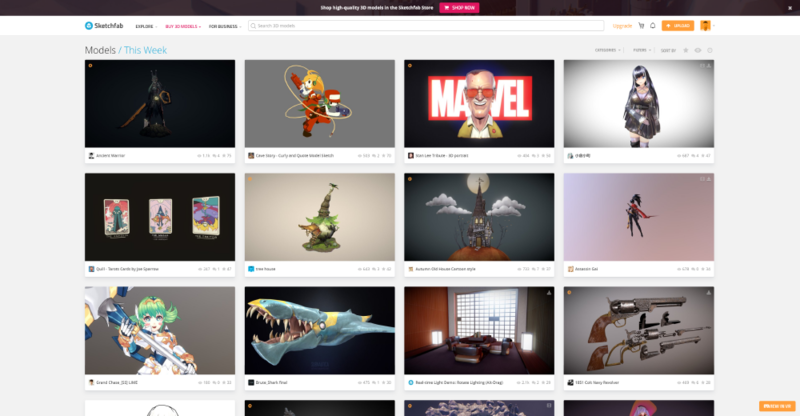 Sketchfab is a platform to publish and share 3D models. There are many high-quality and unique 3D models published. So it’s would be a great help to create your work by making good use of them. The 3D models downloadable in this site are provided under the Creative Commons license. Please note that not all 3D models posted are downloadable and that the type of CC license differs for each 3D model. The details to use Sketchfab is explained in the article below. 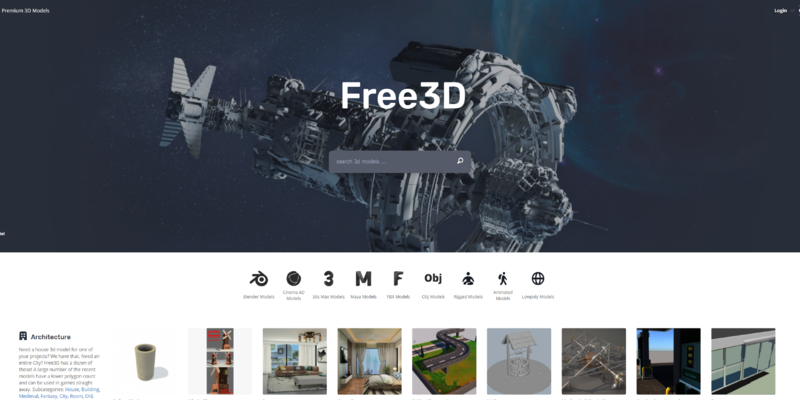 Free3D is a 3D model collection site, which also sells 3D models in addition to distributing free models. The UI is easy to understand so even beginners can find 3D model easily. It’s also handy to find just ‘.fbx’ or ‘.obj’ with the filter function. Since 3D models are provided under ‘Personal use license’ here, use them just for personal use. If you assemble the assets in Unity and then upload them to STYLY, I also recommend Unity Asset Store. 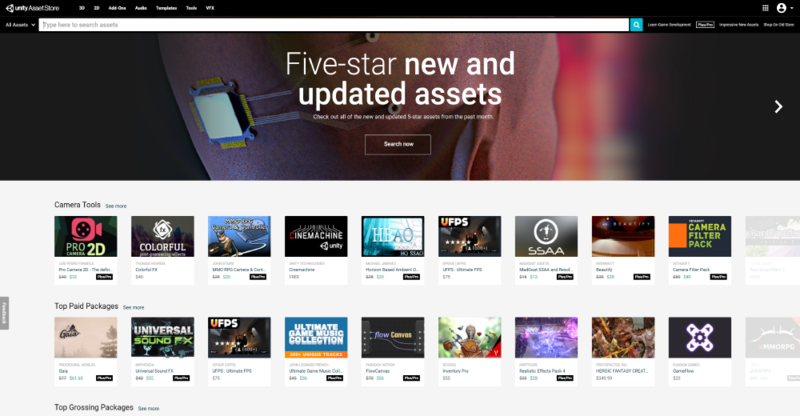 Unity Asset Store is a site to sell various materials to use in Unity and some of them are distributed for free. 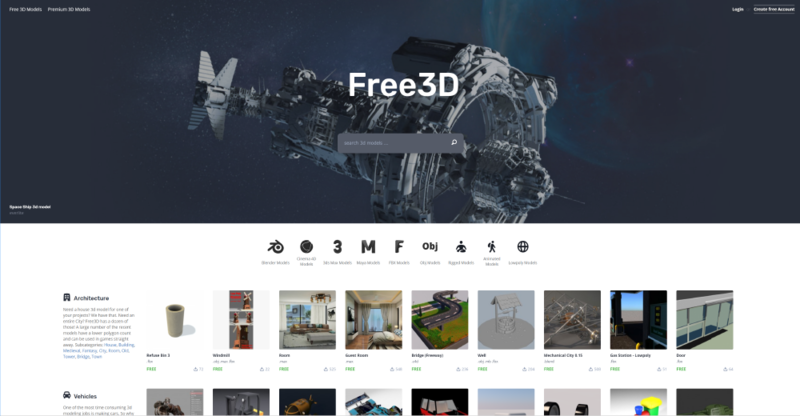 It sells not only 3D models but also tools and Shaders. So it could draw out your creativity more by making good use of it. As it’s Unity’s official store, you can use it with full confidence. When you search for 3D model in Unity Asset Store, set the searching filter to ‘3D’ and type in the keyword in the search box. You can also set the filter so that it finds the free assets only. For 2D materials, I recommend using the website with stock photography. I recommend several sites below. 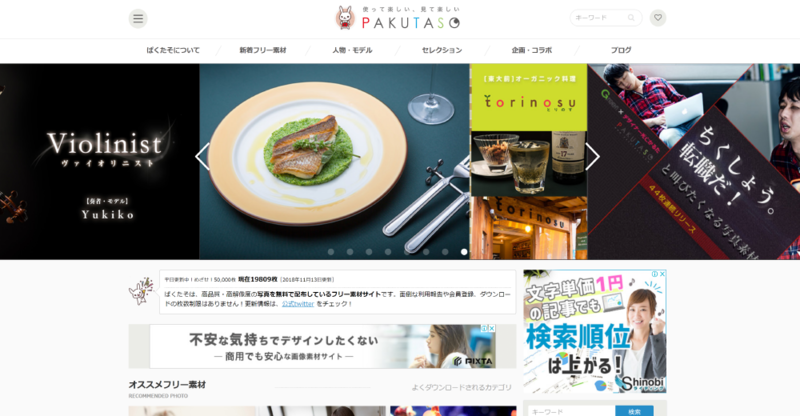 PAKUTASO is a Japanese website to provide stock photos. All photos downloaded from this site is free and doesn’t require the credit note. The modification of the photos is also allowed. This site is run by a Japanese. It’s friendly and easy to use. The site management is also on solid ground so you can use the downloaded materials with peace of mind. 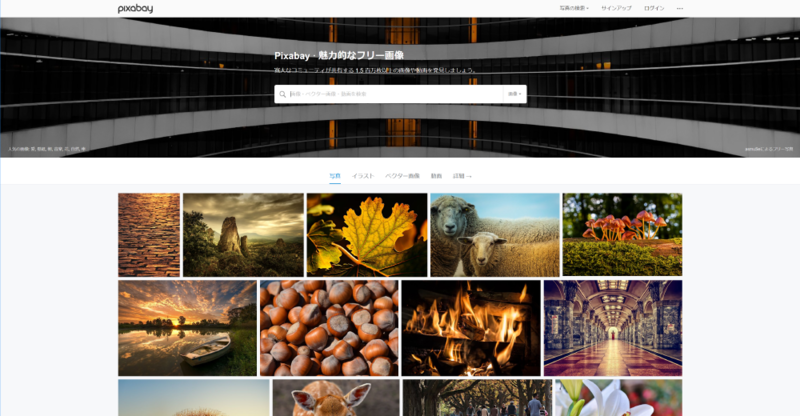 Pixabay is a site to offer stock photos. All photos downloaded from this site are provided under the CC0 license. So they are free to use and doesn’t require the credit note. the modification of the photos is also allowed. In particular, as an advantage, Pixabay has many sophisticated, high-quality, high-resolution, so-called ‘photogenic’ images from all over the world. In addition, not only photos but also many illustrations have been uploaded. There are also a lot of abstract-painting-like images uploaded. So I recommend using them as textures for 3d models. 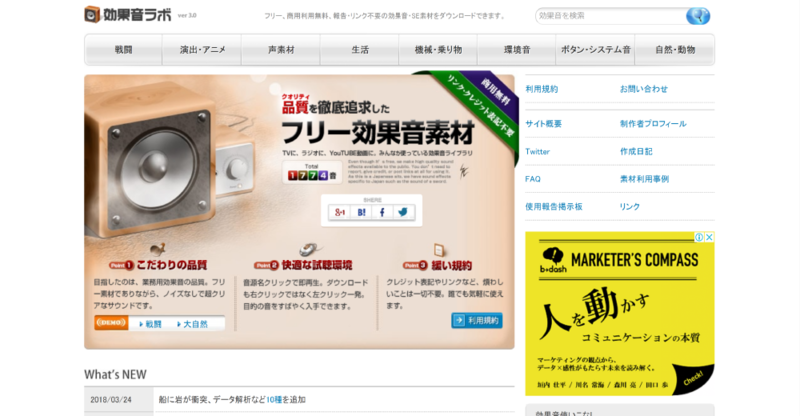 There is the search box in the site. Find the image you want by typing in the keyword such as ‘sky’, ‘sea’, etc. As a way to use art works such as paintings, you can use the public-domain images published by art museums. For example, there are 4 million images published by the Metropolitan Museum of Art, and 52000 pictures published from Art Institue of Chicago. All images are provided under public-domain license so they are free to use. 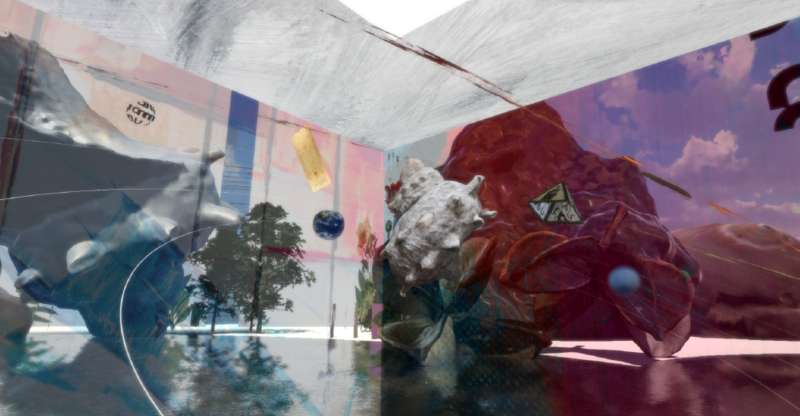 There could be a wide variety of their application such as making your own art museum, picking up the images as a part of your VR space design, etc. To collect sound materials, you also use the distribution sites. Since sound is an important factor to make VR experience more immersive, let’s make most of it. In general, the rule to use sound material is complicated. So you must read through Terms and Conditions. I recommend the several sites below. 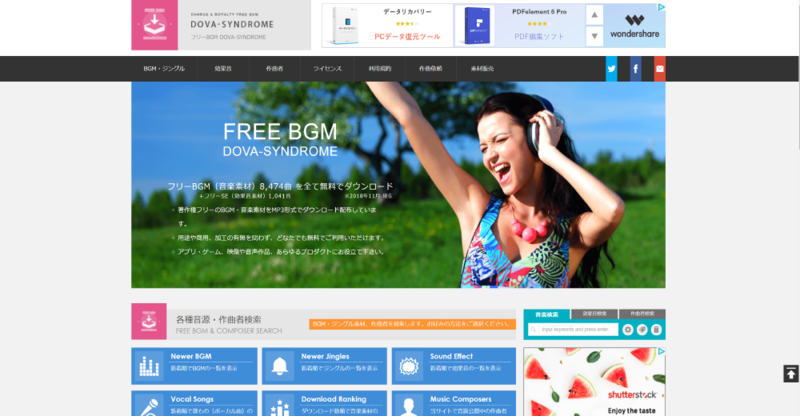 DOVA-SYNDROME has 8400+ BGMs and 1000+ sound effects downloadable for free. All sound sources provided are free to use and doesn’t require the credit note. In addition, the modification of them is also allowed. Since it has an overwhelming number of sound sources, you could get most of the sound materials you want just from this site. ‘Soundeffect lab’ is a site to distribute various sound effects. The sound materials provided by this site can be used for free under the rules prescribed. No credit note is required, either. There are several categories such as ‘Environmental sound’, ‘Nature / Animals’, etc. So you can easily find the sound effects you need. After collecting materials, let’s create a VR space by uploading them to STYLY. Alternatively, you can assemble the collected materials on Unity and then upload them to STYLY. I explain how to describe the credit when you publish the VR space created in STYLY. Press the publish button in STYLY Editor to open the input fields for the title and the description. If you used the material with the credit note required, enter its title, creator and URL to download in the description field. In addition, describe the license type if you used the material under Creative Commons license. Finally, press the ‘publish’ button to publish the work. Once you got used to finding the required materials efficiently, it will provide more variation to your creative work. Make good use of materials available on the internet to unleash your creative skill more.